I really enjoyed this book. It's a story that is completely unique and the writer does a very good job of describing the scenery. I also like how some characters are developed throughout the book. For example, Julia slowly becomes more mature and grown up as the story goes on. I really liked the first appearance of Ellen McEwen. The writers described her very well. She has an own atmosphere and has a strong impression that can set the mood. She is also very accurately described and an intriguing character. There are some predictable parts in the book. Also some parts seemed to lag a little. I would give this book 2.5 stars out of 5. I enjoyed reading this book - a mystery that will keep you guessing until the end. One of the best parts of the book is the characters, Mary the librarian, Euan and Ellen the twins and the main heroine, Julie. The story is interesting as the book is set in the 1930's in Scotland, which I did not know much about before reading. I wanted to keep reading to find out who the murderer was and who stole the pearls. Also, I'll read Elizabeth Wein's other both about Julie, Codename Verity, as I enjoyed the Pearl Thief. I didn't enjoy the book because: there were a lot of confusing words that I didn't know, there were only a few scenes where there was suspense (nearly getting you off your seat) and a few scenes/chapters you have to read repeatedly to understand where they are and what they are doing. There were a few good points about the book. There were scenes where they were quite interesting ( e.g. There was a fire in the castle and they had to find a way to get out.) Also, I liked the twisted ending of a good guy (Frank Dunbar) being a thief with Hugh Housman and no one knew until Julie Beaufort Stuart figured it out. I think it would be better by creating more suspense and to simplify the book a little bit for readers that aren't good with their English. Elizabeth Wein could describe where they are and what's going on a bit more. The Pearl Thief by Elizabeth Wein is a historical fiction and murder mystery book set in the Summer of 1938, Scotland. Julie Beaufort-Stuart (Julia) is the granddaughter of the former Earl of Strathfearn. Their mansion is being sold so this is the last Summer before they move out. However, there are mysteries and problems arising around the mansion. On the day of Juliaâ€™s return, she was hit on the head and knocked unconscious for three days by a mysterious person. Also a man has gone missing, presumed dead, and most of the locals are blaming the McEwens, a travelling family which have been at Strathfearn for as long as Julia can remember. Finally, the Murray collection of pearls has gone missing but no one has noticed apart from Julia. Can she and her friends find out what has happened at Strathfearn? This book was thrilling to read with its interesting story line, sudden plot twists and covering of the prejudice and discrimination travellers receive. The mystery in the book is like a jigsaw puzzle (also how Julia describes it), every piece fits together in it but how and why. The Pearl Thief constantly keeps you on the edge of your seat and I would recommend it to anyone who likes reading murder mystery books. The Pearl Thief tells us quite a bit of history but we don't know whether that's true until we search it up or read the afterword in the book. In the story there is a lot of talk about Mary Queen of Scots and how she was executed but had a bracelet involving pearls. This is true as I have researched it. In the afterword, Elizabeth Wein talks about the villages themselves and their actual names in Scotland. None of the geological names in the story are real but they resemble real places, for example Strathfearn doesn't exist but Perthshire does. The River Fearn doesn't exist but it closely resembles the River Earn. The plot itself is not historically accurate. I would give book 5 stars for its surprising and intriguing plot twists, thrilling story line and its covering of prejudice and discrimination travellers receive. This book has made me want to find out more about Mary Queen of Scots and pearls in Scotland as well as reading more books by Elizabeth Wein. 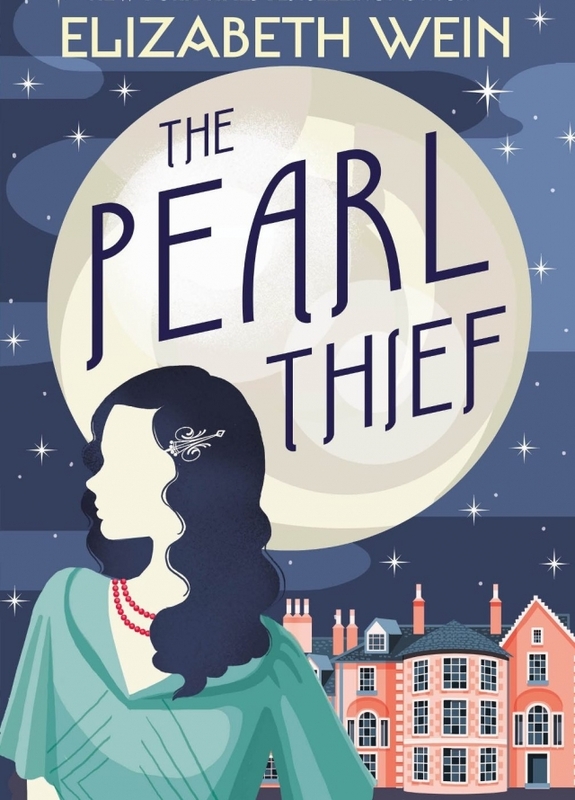 I read the Pearl Thief which was written by Elizabeth Wein. I found this book quite a challenging read but I liked it because it was not the usual genre that I would choose. I found this hard it because the language was written with a few Scottish words, however I enjoyed it because it was interesting seeing these Scottish words. Julie inspired me because she is such a strong character and she did not stop protecting her friends and proving that they had done nothing wrong. I do think the history in this book is realistic because I believe that people did search for pearls in rivers in the 1930s, hoping to catch some to improve their life if they could get more money. Also in history, lots of people were against gypsies and blamed them for doing lots of things they did not do. I would like to find out why people had a problem with gypsies in this part of history because I think this would be a very interesting topic to learn about. I quite enjoyed the authorâ€™s style of writing but I did find that the book went at a slow pace. She did describe things in detail which I found really helpful because a picture would build up in your head which made me understand the book better.Â This is the sequel to a book so I am interested to read the next book that she wrote about after this book. Overall I thought this book was written in a historical way and I really enjoyed it. After reading "The Pearl Thief", I came to the conclusion that I wouldn't read another book by the same author, as I didn't enjoy the book. Although some aspects were brilliantly explained, the characters weren't likeable and it didn't inspire me, like I thought it would. The main character, Julie, got 'whacked' on the back of the head after arriving home from her boarding school, leaving her with blurry memories and a task to figure out what had happened to her. We meet many characters along the adventure such as Euan and Ellan McEwan (the travellers who rescue her), her brothers: Jamie and Sandy. But we also meet some suspects that could've linked to her memories. The book genre is an adventurous, romantic, mysterious journey as she tries to figure out what happened that day. One of the main reasons I didn't enjoy this book was because the history wasn't realistic enough. I understand that it is a fictional book, but the history aspect of it didn't match to the history behind it. It is also unrealistic because she is only 15, but she manipulates adults the age of 20 and over. Despite the bad aspects, Wein wrote excellent descriptions of the surroundings. In addition, when Julie entered Stafford House, Scotland, you felt like you were there because of her descriptions which impressed me. In terms of the year it is set in, she did a brilliant job by emphasising how some of the people didn't have great education by the slang words they use. This is especially seen in Julie's flashbacks, when her granddad is speaking to her and other people.